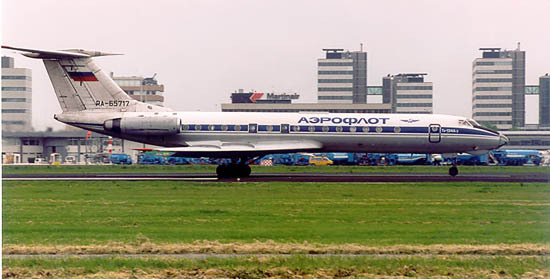 Tupolev Tu-154M RA-85634 (c/n 763) has just landed at runway 06 at Amsterdam's Schiphol IAP (1996). 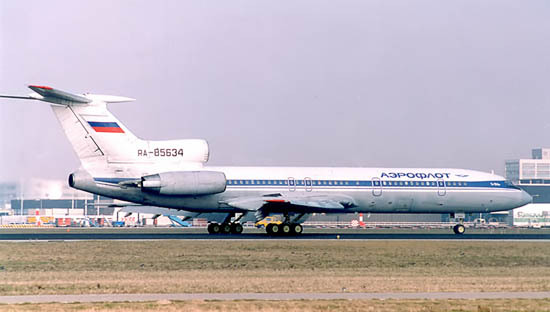 Tupolev Tu-154M RA-85661 (c/n 811) is gaining speed for take off on runway 24 at Amsterdam IAP (1998). The colourscheme on the tailsection has seen a subtle revision. 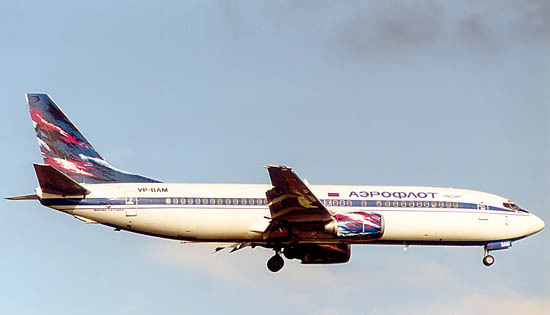 Aargghh... not a good day when Aeroflot began introducing Boeings and this dreadful colourscheme ! 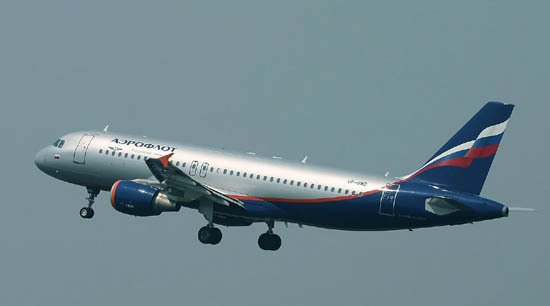 During March 2003 Aeroflot introduced this new colourscheme, which I quite like ! 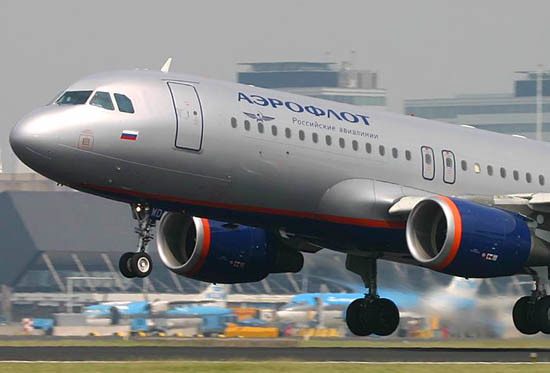 Unfortunately aircraft produced by the Russian industry had become quite rare at Amsterdam by this time, so better get used to types such as this Airbus A320-214 VP-BWD (c/n 2116) on Aeroflot's services. The typical Russian symbols have remained, very good !